The mission of the Friends Of The Kewaunee Pier Head Lighthouse is to provide financial and physical support for the restoration and ongoing maintenance associated with the lighthouse. 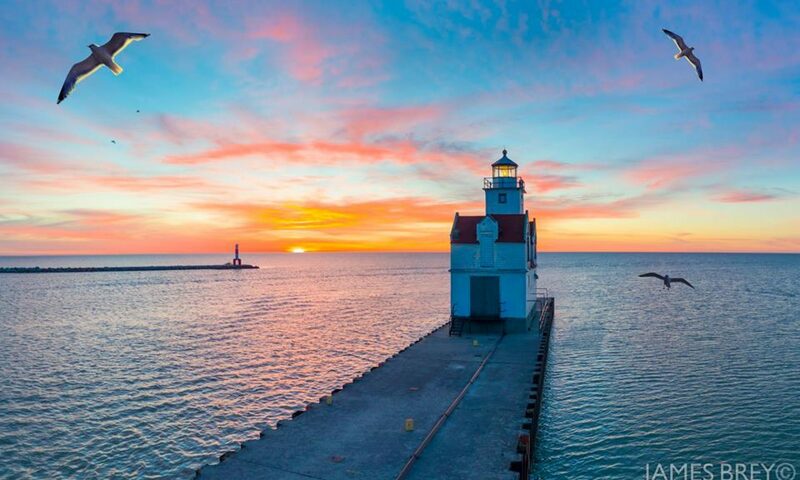 Once preserved, the lighthouse and other historical and maritime features in Kewaunee will become an educational and recreational asset to the community. The friends are a non-profit 501(c)3 organization designed to help fund the restoration of The Kewaunee Light. Kewaunee has a wonderful opportunity in that our lighthouse is in very good condition, considering its age. This is part of a larger effort by local leaders and business people to restore the Kewaunee Harbor and Lighthouse. Through the efforts of many determined individuals, Kewaunee has received a generous grant from the State Of Wisconsin for the repair of the seawall and of the lighthouse. The seawall was dangerous, with sinkholes forming along the walkway. In the 1850’s, when the seawall was built, the builders used Ironwood forms filled with rocks and cement. Those original forms held until the mid 2000’s when they began showing their age. I guess that’s why they called it Ironwood! The grant from the State of Wisconsin has been an incredible first step in the restoration initiative. Even so, the next phases of the project will require the support and contributions of people both in the community and beyond. Because the Kewaunee Pier Head Lighthouse is on the Wisconsin State Historical Register, the repairs have to be historically accurate. That’s is where we come into some problems. There are 30 wood framed windows on the lighthouse. Some are in amazing condition for their age. Some need a great deal of “love”. There are other issues, the large door that faces the city, is heavy plywood. A real set of doors are needed. Inside the lighthouse has been scraped back to bare walls, and there is an issue with asbestos too. We have a fifth order Fresnel lens. It has to be cleaned and then removed. These repairs are expected to begin in the spring of 2017 after reconstruction of the seawall has been completed. We have had some fundraisers already to get started and to get the word out, but it will soon be time for a larger campaign. Be on the lookout for opportunities to learn more about the restoration progress and what you can do to support our efforts. To learn more about the complete history of The Kewaunee Pier Head Lighthouse, visit the websites below.